The previous Camel album, Rain Dances, had been both a backward-looking album and a forward-looking album as it was a rather appealing mix of what Camel did on their first four albums and what they would do on the present album (their sixth studio album). Richard Sinclair of Caravan fame had joined the band for Rain Dances and put his personal stamp on Camel's music already at that point, but his influence was counterbalanced with the classic Camel sound. Rain Dances thus managed to retain a lot of the typical Camel-identity despite the more or less strong Caravan influences, resulting in an album somewhere in the middle between Symphonic Prog and the jazzy Canterbury Scene sound of Caravan. On Breathless, however, I feel that Sinclair dominated a bit too much and he brought Camel too far towards the sound of Caravan. Sinclair even brought in his cousin and fellow Caravan-member, Dave Sinclair, on additional keyboards on this album (though he is, for some reason, uncredited in the album sleeve). And when original member Peter Bardens left the band directly after the recording of this album, Dave Sinclair took over on keyboards for the tour in support of the album. 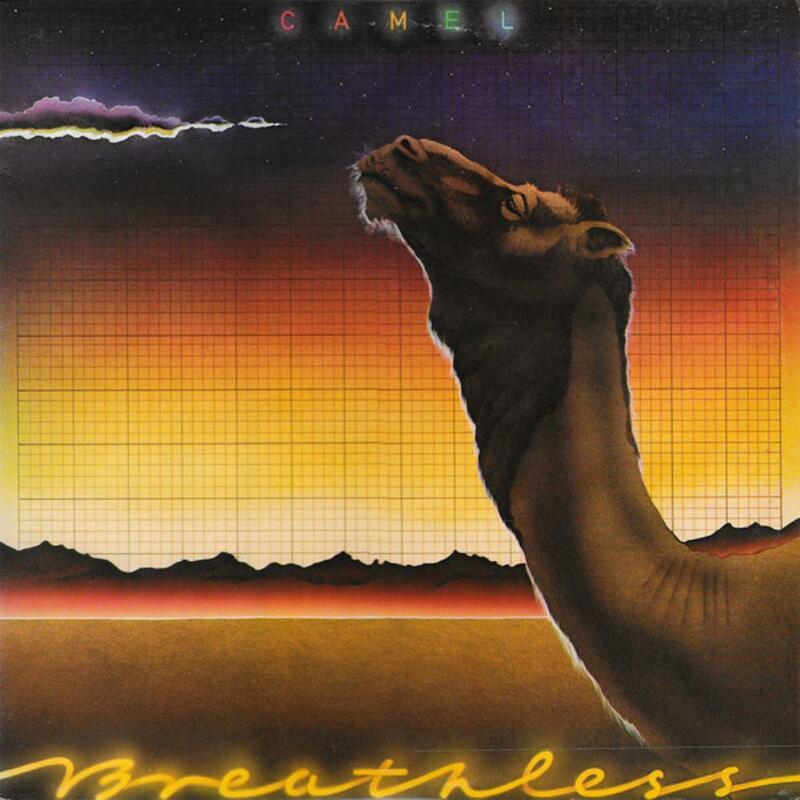 Andy Latimer at one point joked about re-naming the band 'Caramel' (a crossover between 'Camel' and 'Caravan') and listening to Breathless I feel that such a name-change would actually have been a very good idea! If you know both bands, "Caramel" is really a very fitting name to the band that made this album. Richard Sinclair sang lead vocals on the opening title track, on Summer Lightning (the latter of which he also co-wrote with Latimer), and on Down On The Farm (which is written by Sinclair alone). The first two of these are decent songs, but Down On The Farm is, in my opinion, a complete embarrassment! I don't dislike Sinclair's vocals at all, but they are too strongly associated with Caravan for me. Echoes is the real highlight of Breathless and this is indeed an excellent song that has since become a frequent item in the band's set list up till and including the very last tour they did in 2003. Also The Sleeper is a very good song that more resembles the earlier Camel sound. The rest of the songs are not bad at all, but not particularly strong either. The material is significantly less memorable than on most other Camel albums. Being a major Camel fan (and a minor Caravan fan) I do enjoy Breathless, and there are some great moments here. However, the album falls short in comparison with both earlier and later Camel albums. Indeed, The Single Factor is the only other Camel studio album that I've given as low a rating as this.